A couple of seven years pushed through as planned and got married despite the thunderstorm and flood in their area. The bride expressed that she’s very happy with the wedding and did not have plan of cancelling it just because of the bad weather. 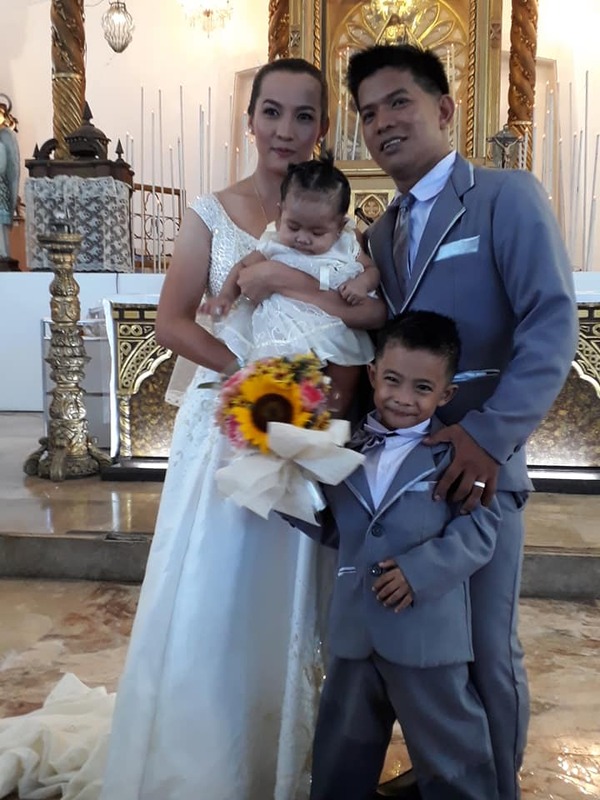 Couple Jefferson and Jobel delos Angeles pushed through with the scheduled wedding ceremony on August 11 amid the torrential rains and the rising flood brought about by Tropical Storm Yagi and the southwest monsoon. 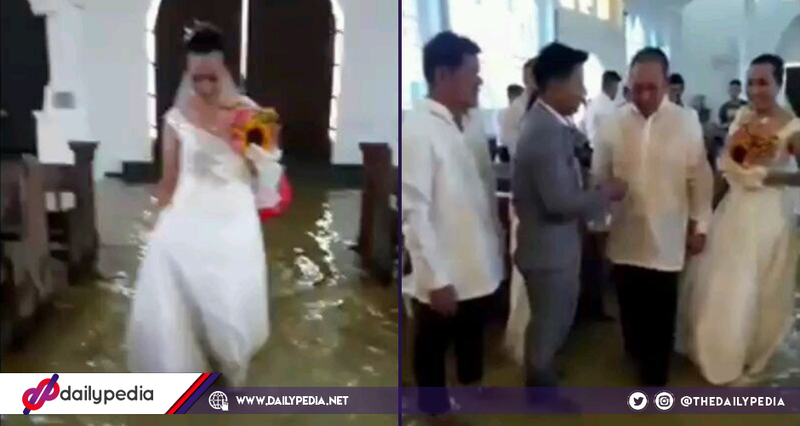 No storm nor flood could stand in the way of these lovers from exchanging their vows of ‘I Dos’ inside the flooded Santo Rosario Church in Hagonoy, Bulacan. In the viral video, a smiling Jobel can be seen walking down the aisle through brown floodwaters in a white gown and veil. It has touched so many Filipinos’ hearts that the video got reposted by Rated K host, Korina Sanchez-Roxas herself. While I sit comfortably in my home watching the hard and cruel rain, I cant bear the thought of others suffering helplessly, both humans and animals. In an interview with ABS-CBN, she said that they never expected the bad weather, however, when it happened, they did not consider cancelling the wedding. Delos Angeles added that she also didn’t expect that a lot of people would turn up. And because of the harsh weather, no car wanted to bring them to the church in the first place so they just rode the boat. It’s a double celebration for the family! It wasn’t just a wedding, because it was also the baptism of their five-month-old daughter.